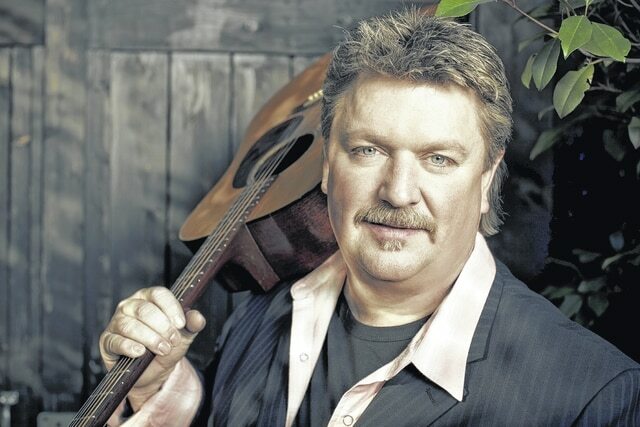 Country music artist Joe Diffie will perform Saturday night at Bob Evans Farm in Rio Grande. RIO GRANDE — Country music legend Joe Diffie said he loves seeing people have fun and communicating with his fans when he performs. And he’ll be paying them a visit down on the farm. Known for his hit songs such as “John Deere Green,” “Pickup Man” and “Third Rock from the Sun,” Diffie is set to perform at 7:30 p.m. Saturday at the Bob Evans Farm Shelterhouse Amphitheater in Rio Grande. The Grammy and CMA award-winning artist said he is looking forward to performing in front of his fans in southeastern Ohio on Saturday night. “I hope the fans will come out and have a great time,” he said. The multiplatinum-selling singer who dominated the charts in the 1990s has been writing, touring and recording a myriad of projects in the last several years to introduce his music to a new generation of fans, including his critically-acclaimed 2010 bluegrass album “Homecoming,” and his recent “Roots and Boots” acoustic tour and collaborative album “All in the Same Boat,” with fellow hit-makers Sammy Kershaw and Aaron Tippin. Diffie’s new single, “Girl Ridin’ Shotgun,” was recently released on country radio stations. Tickets are on sale for $10 per person and can be purchased on site at several locations, including Bob Evans Farm Homestead, Thomas Do-It Center in Gallipolis and the Treasure Cove, also in Gallipolis. Tickets can also be purchased online or at the gate beginning at 6 p.m. the night of the show. Parking and primitive camping are free at Bob Evans Farm Shelterhouse Amphitheater, located on State Route 588 at 791 Farmview Road. For more information, call 1-800-994-3276 or 740-245-5305.